Booking to Koh Samui up to -70% off To take advantage of these offers, join now for free! 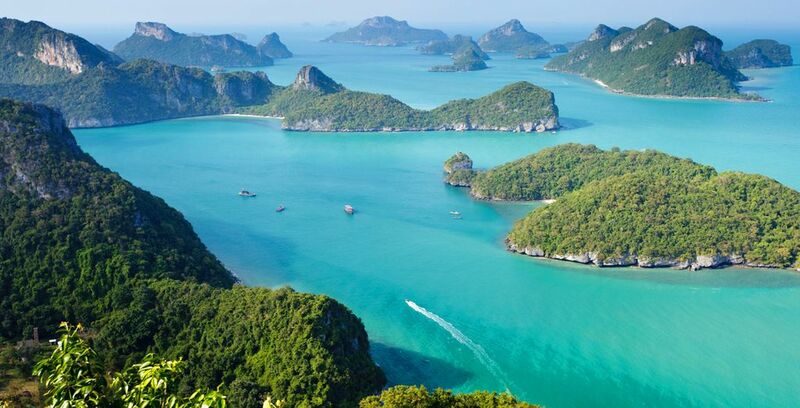 It is believed by some that the island of Koh Samui got its name from the Malay word ‘saboay’ meaning ‘safe haven’. For the traveller looking to enjoy a getaway filled with meditation, cultural interest and relaxation, this island located off the East Coast of Thailand is a destination that thoroughly deserves its place on the bucket list. At every turn you will discover something new that inspires you on your journey, whether you’re a seasoned traveller or you are discovering Thailand for the first time. 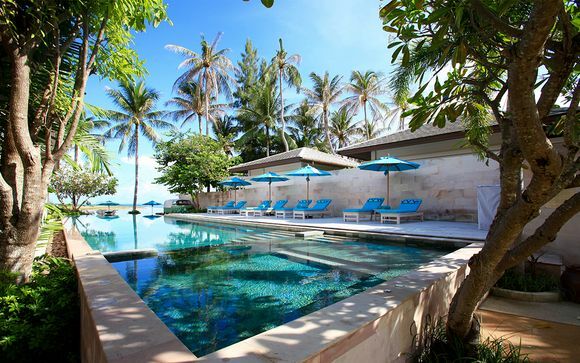 The second largest island in the region after Phuket, Koh Samui is a safe haven of luxury and relaxation. 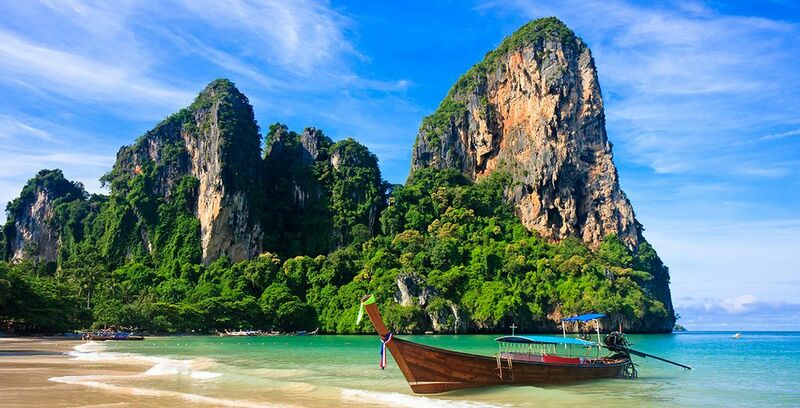 Hide away on the island and explore some of the best natural and man-made attractions Thailand has to offer. Koh Samui gives you the opportunity to immerse yourself in Buddhism, experiencing some of the most breath-taking sights in the region. A fantastic place for lone travellers to get stuck into some real soul searching, or for lovers to enjoy a secret getaway away from the hustle and bustle of the real world. Koh Samui really is an island that can be enjoyed by anyone at any time of the year. As you fly into the island, you’ll get your first glimpse of the Big Buddha Temple. This majestic statue can be found perched on a small island to the north of Koh Samui, and it is here we recommend you begin your spiritual journey. Seated in the Mara posture, the temple is a tribute to Buddha’s journey to enlightenment. If you visit after dark, Big Buddha is illuminated by spotlights. It is a truly amazing sight and not one to missed on your holiday to the island if you too are on a journey to enlightenment. The practice of Buddhism is all about observing the nature that surrounds us all and Koh Samui boasts some of the most stunning views and natural attractions in Thailand. Nestled between Lamai and Hua Thanon you will discover Hin Ta and Hin Ya (also known as Grandpa and Grandma). These stunning rock formations are both a source of mystery and beauty in Koh Samui and you can’t help but feel at peace when bathing your feet in the clear, still water that surrounds these natural wonders and marvelling at the marine life that dances around you. Koh Samui offers a plethora of natural waterfalls, but it is the Namuang Waterfalls that you will want to discover when visiting the island. Called ‘The Purple Waterfalls’ because of the colour of the rocks that make them, these are one of the most picturesque natural waterfalls you will find on the island. Slow down and take some time to bask in the beauty of the falls either by taking a stroll and soaking in the stunning views, or by spending the afternoon relaxing in the natural pools each waterfall flows into. There is nothing more thrilling than discovering a secret, and you will love the Secret Buddha Garden. Created by a Samui fruit farmer in 1976, the garden is home to various statues from human forms in various states of relaxation to animals in repose. Also known as ‘Heaven’s Garden’ there is so much to discover here that you’ll be longing to return for another look long after you have left. Buddhist monks seek enlightenment through meditation. In 1973, Luong Pordaeng, also known as the Mummy Monk, died while meditating and his body has been preserved in the same position ever since. What better way to forge on in your path to enlightenment than to experience the unique calm that comes from seeing Luong Pordaeng, years later, preserved in glass and still enjoying a perfect state of meditation? 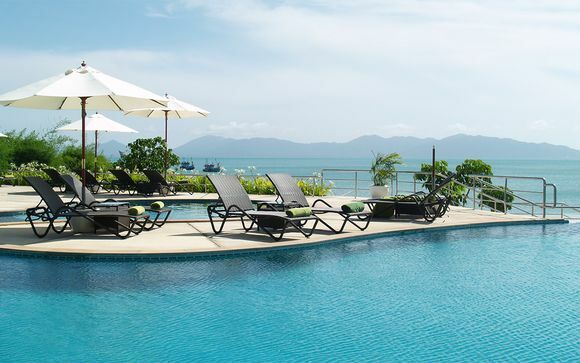 One of the best hotels on the island for relaxation and serenity is The Passage Samui Villas and Resort 4*. 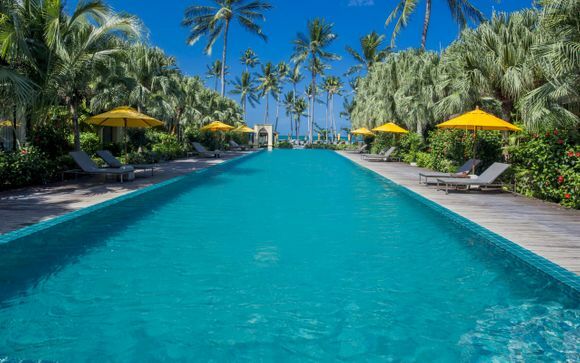 Here you can enjoy luxurious surroundings alongside stunning facilities and the best amenities. This is the perfect place to unwind and enjoy meditation of your own after sampling the culture of Koh Samui. 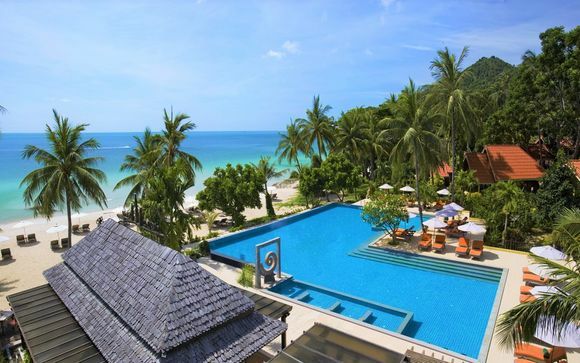 Mai Samui Beach Resort & Spa 4* is a hideaway for the lovers amongst us. This luxury resort can be found on the shores of Laem Yai Beach and couples can enjoy total relaxation in elegant surroundings – the perfect location to relax and unwind. 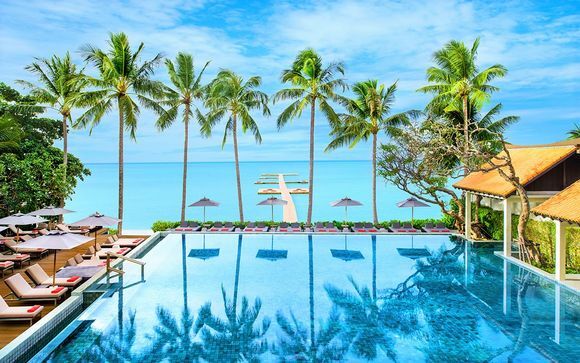 For travellers looking to surround themselves with traditional Royal Thai Architecture on their journey of self-discovery, the Samui Buri Beach Resort 4* is the place for them. 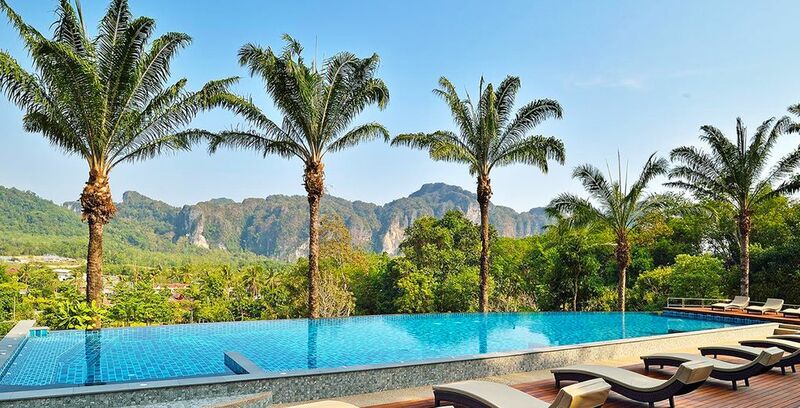 Found just off Maenam Beach, this resort is flanked by lush greenery and beautiful scenery for miles, providing visitors with a luxurious, authentic Thai experience. What is the weather in Koh Samui? In comparison to Phuket, Koh Samui enjoys drier weather with only two months of the year given to the Wet Season. For most of the year, travellers can enjoy a warm and humid climate, with only brief rain showers lasting between 20 and 60 minutes. Visitors will find the highest average temperatures in the months of May and June. The beauty of Koh Samui is that it is a place that caters for all kinds of budgets, from those travelling on a shoe-string to holidaymakers looking to lounge in the lap of luxury for the duration of their stay. To make the most of your holiday, we would recommend budgeting for 1,600 Baht per person, per day (around £38), or around £550 per person over a two week period. Visit our Koh Samui holidays</ and booking offers: booking Thailand, booking Bangkok, booking Phuket, booking Krabi.